The wireless air integration is provided by the included Transmitter that is easy to install in you first-stage regulator HP port. This small and compact transmitter 3.15" (80 mm) in length and 1'57" (40 mm) diameter will transmit cylinder pressure to the wrist computer eliminating the traditional HP hose associated with conventional analog pressure gauges, lowering the divers profile and streamlining your gear for more efficient diving adventures. The rated working pressure of the transmitter is 4,000 psi (300 bars) with a maximum allowed pressure of 5,000 psi (360 bars). The cylinder pressure function not only gives you your current cylinder pressure, it also informs the diver of their Air Time Remaining (ATR). The computer calculates your breathing rate by the drop in cylinder pressure along with your current depth giving an accurate calculation of available time in respects to your breathing rate. It also will alert you when you have reached your reserve air 500 psi (35 bars) by displaying zero (0) air time remaining. Tank pressure is displayed both numerically and graphically. 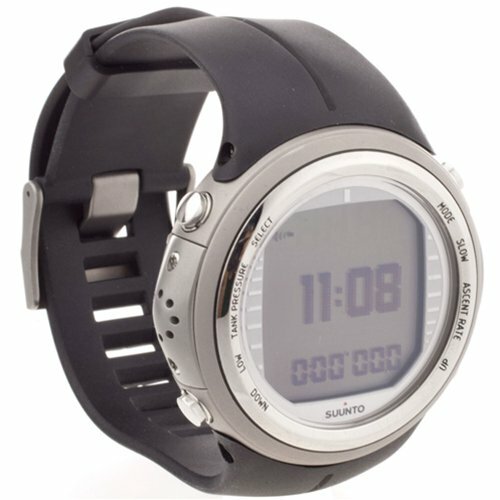 Suunto D9tx has three dive modes. The Air mode is used for diving with standard air, the Mixed Gas mode for up to eight different gas mixes, and the Gauge mode for use as a bottom timer. D9tx supports Trimix in Mixed Gas mode, and you can accelerate decompression by switching to a gas mix with a higher oxygen percentage. You can preset eight different gas mixes (with oxygen between 8% and 99% and helium between 0% and 92%) and set PO2 values for each individual gas. It's also quick and easy to switch between enabled gas mixes during your dive. 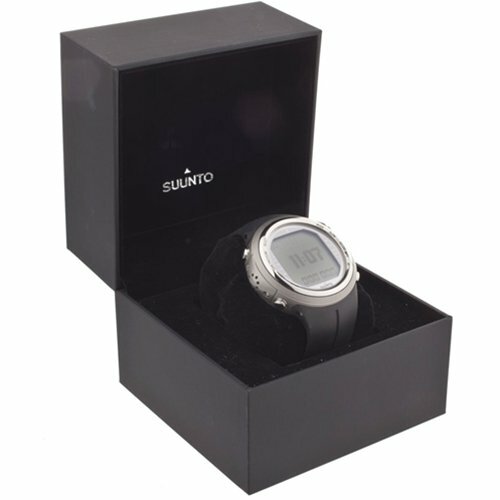 In Gauge mode, Suunto D9tx works as a bottom timer and also provides accurate profile sampling and bookmarking functions. 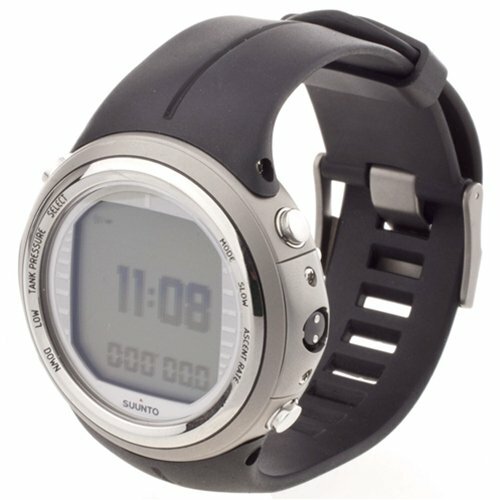 A dive timer with a reset function displays the dive time in minutes and seconds. This is extremely useful for timing accurate bottom times and decompression stops.